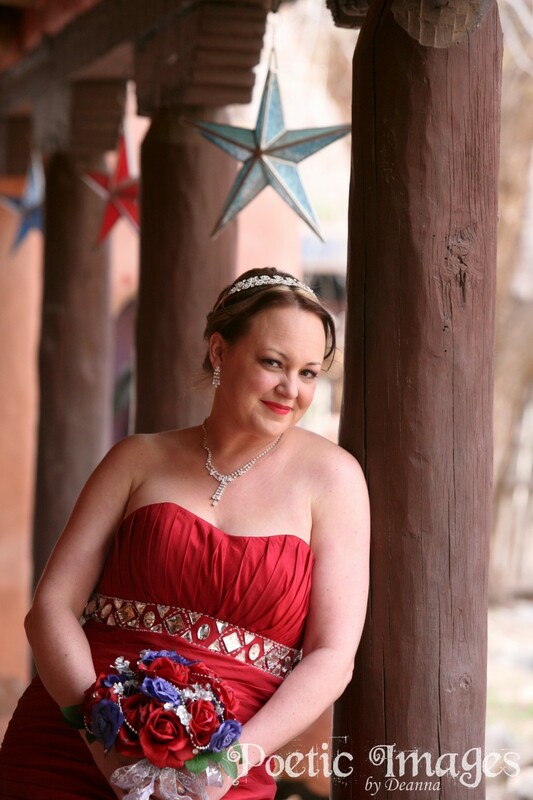 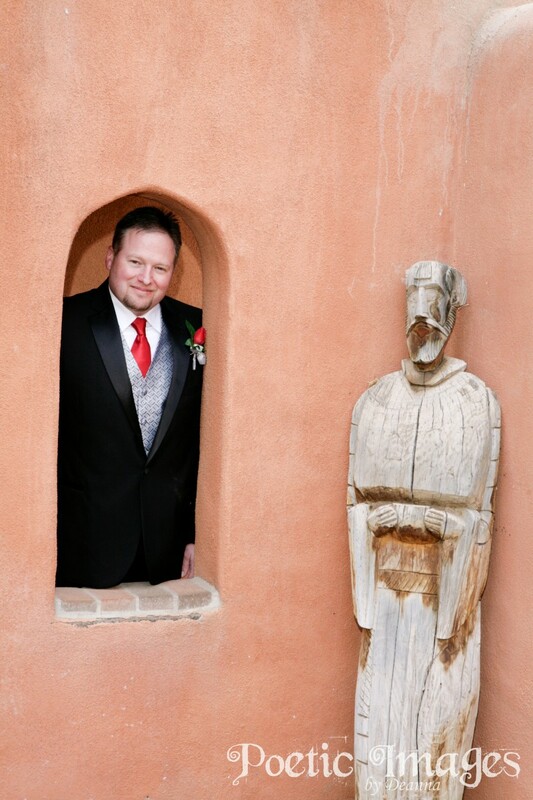 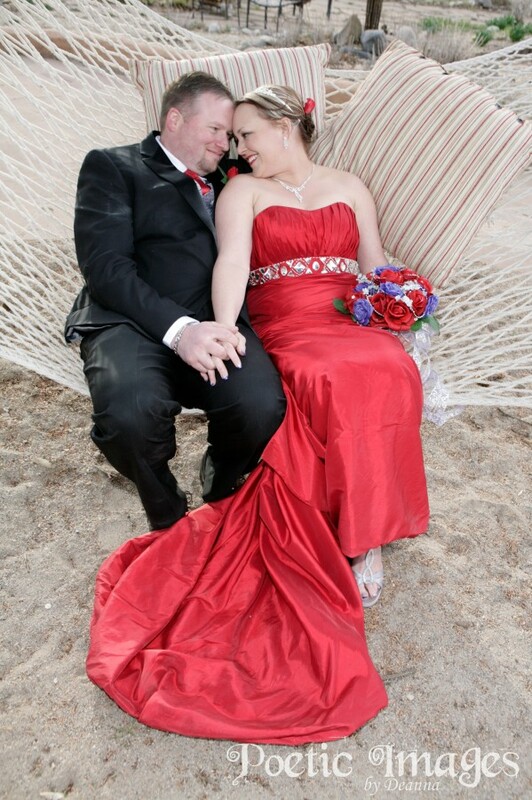 This match made in heaven traveled from Oklahoma City, Oklahoma to Taos, New Mexico to elope! 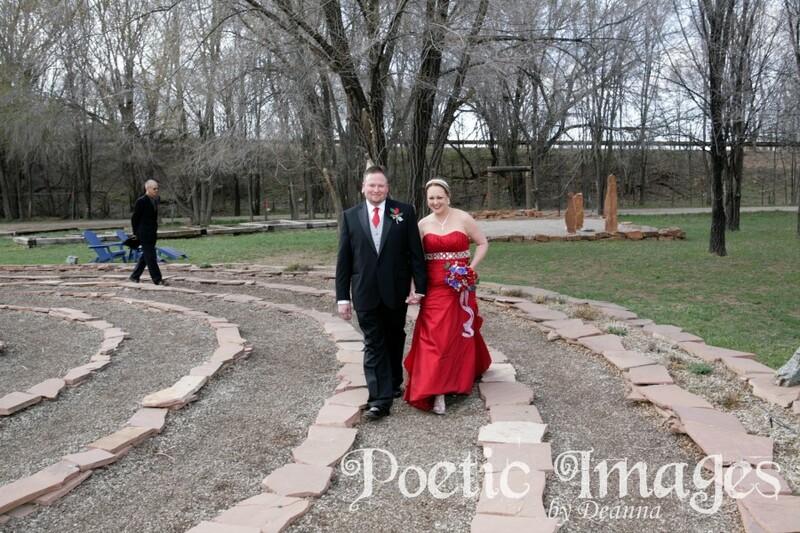 The bride wore a red dress and silver shoes. 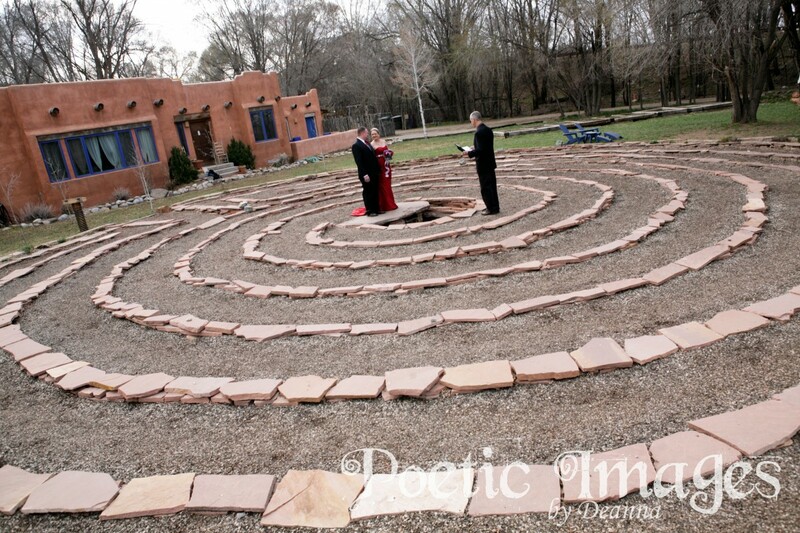 The outdoor labyrinth at the popular wedding venue, Adobe and Pines Bed and Breakfast, was the site for the wedding ceremony. 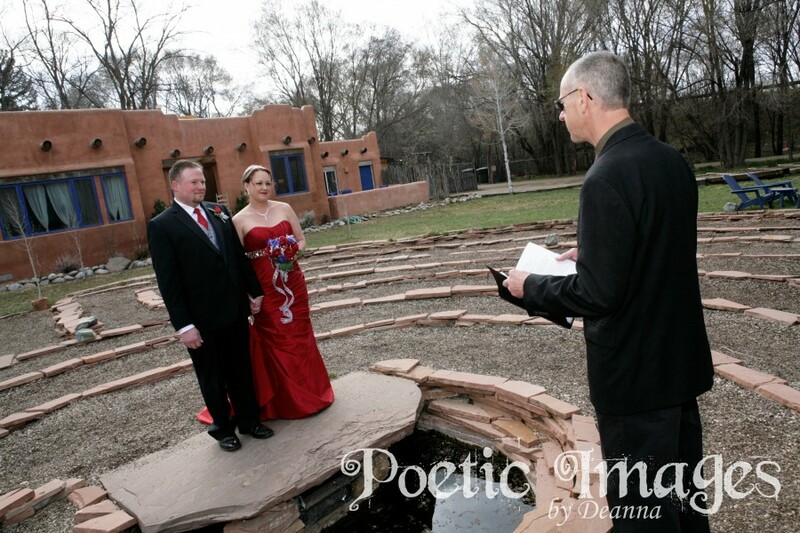 The couple was wed by officiant, Dan Jones. 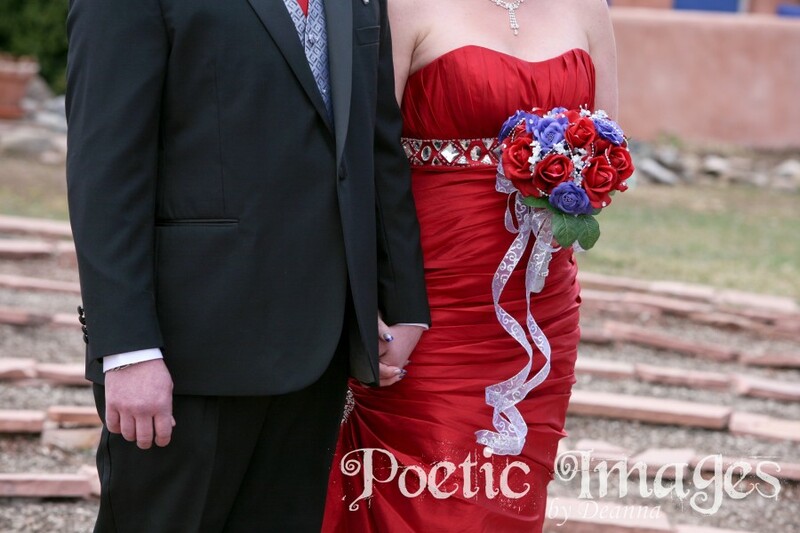 The bride made her own silk flower wedding bouquet.